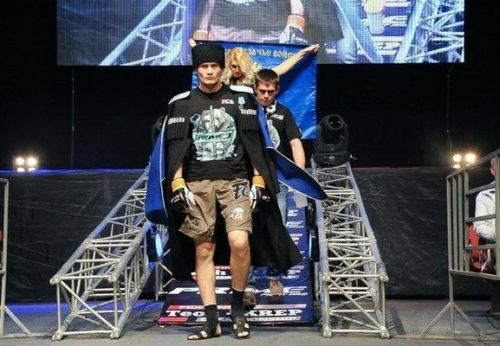 Kazakhstan’s Georgy “Knight” Kichigin will hit the ground running when he makes his ONE Championship debut on 8 March in Yangon, Myanmar. The Fight Nights Global Welterweight Champion makes his debut in the main event of ONE: REIGN OF VALOR against reigning ONE Welterweight World Champion Zebaztian “The Bandit” Kadestam. Kichigin brings to ONE Championship a professional record of 20-5, and a 90 percent finish rate. Without a doubt, he is a tough opponent for anyone in the division. But because this will be his first bout for the promotion, Kichigin is excited to make his debut in a grand manner. “It is always exciting to start a new chapter,” Kichigin says. Kadestam, on the other hand, has won three of his last four bouts by way of knockout. Kichigin knows to always be on his toes and tread lightly, given how formidable the champion is. Despite this fact however, “Knight” is still confident that he is fully-equipped to score the upset and in terms of skills and experience, Kichigin believes he has the edge. He fully expects to have his hands raised in victory at the end of the night. “I am sure he will be pressing me with his striking skills and will use kicks a lot, too. He loves to fight in the stand-up, and I can meet him there,” Kichigin said. Kichigin has long been waiting to compete on the international stage, and now he has his chance joining the world’s largest martial arts organization in ONE Championship. Now that he has the opportunity he has been waiting for and a shot at glory, Kichigin says fans can expect him to give the performance of a lifetime. “Nobody knows 100 percent how the fight will go, but I know that every time I step inside the cage, I have only one goal – to win, and it doesn’t matter how,” Kichigin concluded.